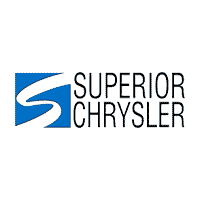 Auto Finance Center | Superior Chrysler Center in Superior, WI " "
At Superior Chrysler Center Car Financing Center in Superior, we take pride in dispelling the myth that auto financing is necessarily annoying and/or stressful. Our dedicated car loan and lease specialists don’t just serve drivers from Superior, Cloquet, MN, Duluth, MN and Hermantown, MN. They take the time to get to know each driver’s unique set of circumstances. They also use their connections wisely and have no problem exercising their argumentative skills on your behalf. The reason they go through the trouble is because they want the experience of buying a new car to be fun, and exciting from start to finish. Perhaps more important, they share the same goal as everyone else at Superior Chrysler Center: To see you happy, behind the wheel of a new or used Chrysler, Dodge, Jeep and RAM.